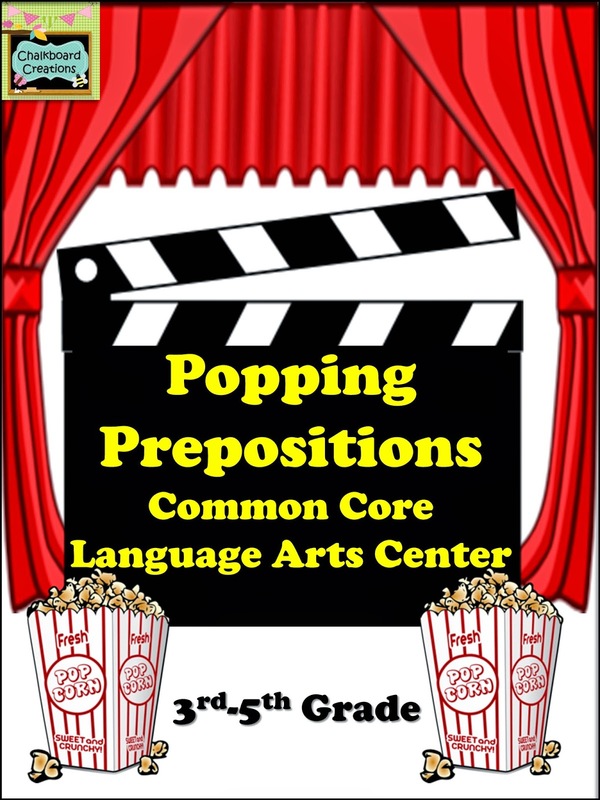 Start off the New Year with this fun Language Arts center game that your students will love! 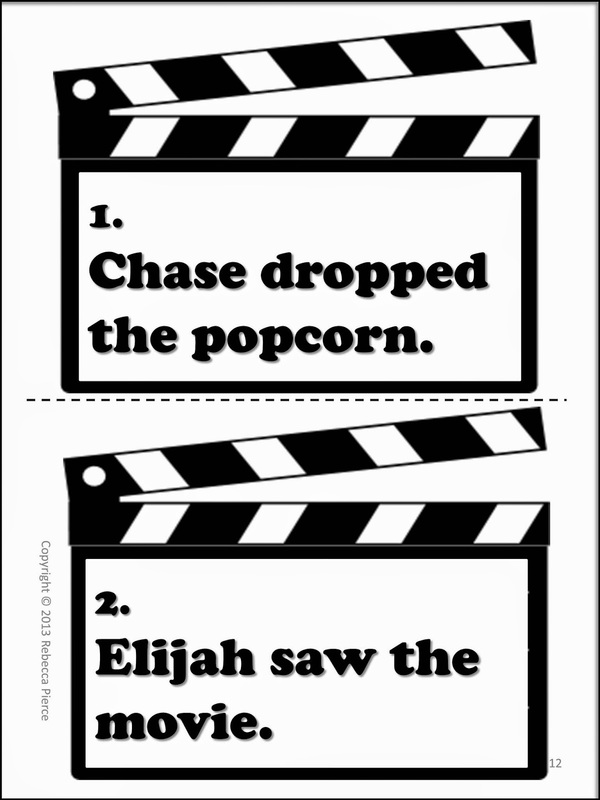 It is a classroom tested popcorn and movie themed cooperative learning center game created for the 3rd- 5th grade classroom. 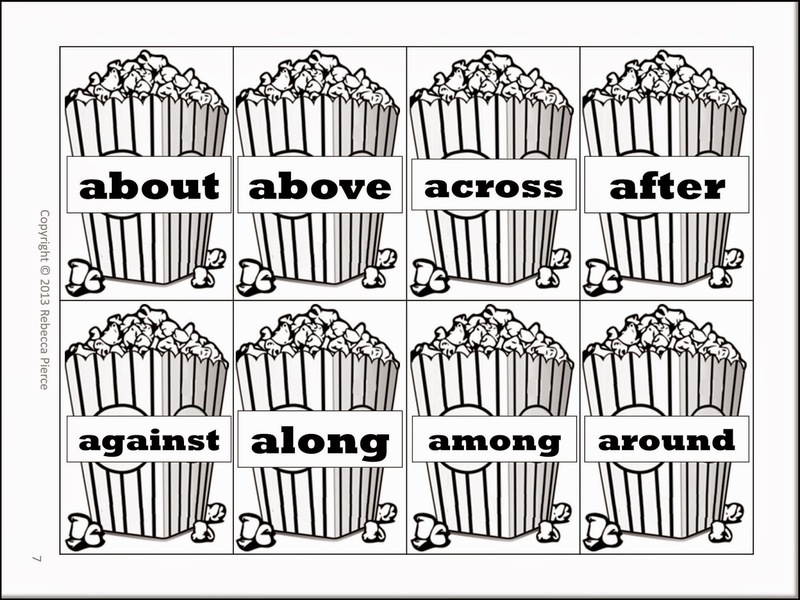 It is designed to help students practice using prepositions and forming prepositional phrases in sentences (aligned with the Common Core State Standards L.4.1e and L.5.1a). 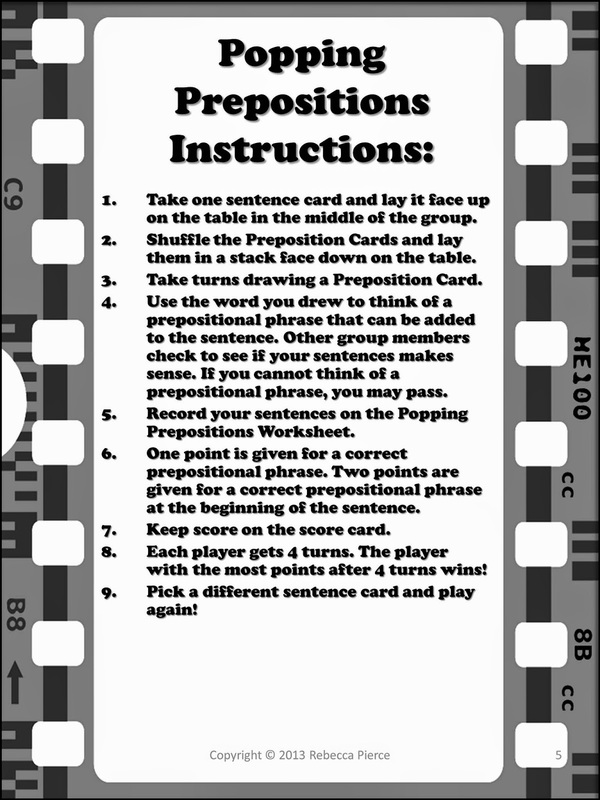 Students play a game that involves them competing to add prepositional phrases to sentences.